For many retailers, carrying and managing an inventory can be quite a hassle. This includes maintaining a warehouse to keep their goods, hiring and managing staff to run the warehouse, transferring goods from one place to another, delivering goods to customers, and paying shipping costs. This adds a pile of responsibilities that most entrepreneurs don’t want to take on. Dropshipping is a retail model that allows business owners to sell products to their customers without ever actually stocking or shipping the items themselves. When your customer places an order, you simply forward the order to your supplier, who will then deliver the product to your customer directly. This means you don’t have to worry about inventory-related tasks, and instead work on more important aspects of your business like bringing in new customers. However, dropshipping isn’t a new concept. What started originally in 1999 is now becoming the preferred retail model of countless businesses and entrepreneurs around the world. Suppose you have a store that sells designer shoes. You procure the shoes from a supplier, and then sell them at a markup price. A customer places an order at your store for a one specific pair. This means you will need to have that item in stock, and then package and deliver it to your customer yourself. You get to keep the entire payment that you received, but you will need to spend money upfront to acquire the stock and bear all of the shipping and packaging costs. In a dropshipping model, you don’t need to procure the shoes from your wholesaler, maintain an inventory, or deliver them yourself. Once your customer places the order and pays you, you simply place an order for that product with your supplier, and pay them for it. Your supplier then packages, ships, and delivers the product directly to your customer. You buy materials or products from a wholesaler/supplier and pay them. You store the product in your own warehouse. Customer places an order and pays you for the product. You deliver the product to your customer. Customer places an order, and pays you for the product. You send the order to a wholesaler/supplier, and pay for delivery and storage. Supplier delivers the product directly to the customer. Now that you have an idea of how dropshipping works, let’s take a look at some of the advantages that come with dropshipping orders. Cheap and simple setup: With dropshipping, you don’t need to manufacture, store, or deliver products to customers. This means you don’t have to invest in a warehouse to store products,hire staff to run operations, or employ vehicles and staff to deliver your products. You can use all this saved capital to invest in building your brand and customer base. All you need is a computer and an internet connection. Take orders from anywhere: A huge benefit of having orders dropshipped is the ability to take orders from customers around the world. You dont have any manufacturing plants or warehouses to worry about, so you can tak orders and leave it to your supplier to figure out the storing, packaging, and transporting. All you need is good communication with your customer and your supplier. Easy to scale up: Scaling up your business is far less complicated when you dropship orders. 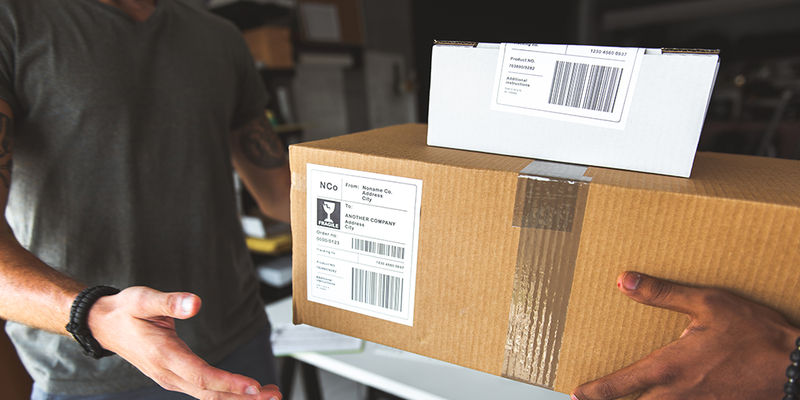 For a dropshipping business, an increase in sales doesn’t mean an increase in inventory expenditure or operating expenses, because the storing and shipping duties are off of your shoulders. You can keep on collecting orders and leave the heavy work to your supplier. No overstocking or shortages: With dropshipping, you don’t need to worry about overstocking or running short on products, because you don’t need to physically have the items you are offering for sale. You only buy the product from your supplier when your customer does. This is much safer for your business than the conventional retail model, where you’d spend money upfront purchasing products in bulk, and run the risk of either running out of stock or finding out that they don’t sell as well as you had planned. Good relationships with suppliers: Wholesalers and B2B suppliers don’t usually invest a lot in their ordering platforms, because they don’t often come directly in contact with customers. As a dropshipping business, you provide the customer interface and bring in business for your suppliers that they may not have been able to attain before.This helps build your relationship with the supplier, and as a result, you might find that you get better quality of products or service from them. With so many benefits, it almost seems like a no-brainer to start dropshipping orders right away. However, dropshipping has its difficulties. Less quality control: Even though the manufacturing and shipping of the product is being done by someone else, any fault found in the product or its delivery will still reflect on you. Outsourcing your manufacturing, storage, and shipping duties essentially means outsourcing a large part of your customer satisfaction. As you don’t get to see or test the product before it gets delivered to your customer, there is a higher risk of your customer being dissatisfied with its quality. While the customer’s issue isn’t really with you, your business will still be the one to suffer if they’re not satisfied. If you can’t be sure that your supplier will provide quality products and timely shipping, dropshipping can be a risky model to use. Heavy competition: With minimal set-up costs and a very low barrier to entry, it’s no wonder that the dropshipping market is pretty saturated. This makes it difficult for your business to stand out, though. You may also find competitors selling the same products as you for a much cheaper rate, which makes selling even more competitive. Expensive shipping charges: In a conventional retail model, you ship the product to your customer on your own, and pay any shipping charges required. You may charge your customers for your actual shipping costs and/or a charge for handling. With dropshipping, the shipping is taken care of by your suppliers, so you will need to pay their shipping costs and handling charges, which may be more than what you would have paid to ship the items yourself. Things get even more expensive when your customer orders products that you source from multiple suppliers, who may be situated in different locations. To fulfill such an order, you will have to pay each individual supplier their respective shipping costs, which can affect your margins. Issues with inventory: By selling products directly from your suppliers, you depend on their inventory and their ability to manage it. Your suppliers’ inventory is fulfilling not only your orders but those of other businesses as well, so it can fluctuate suddenly. This could mean you end up accepting a customer’s order when your supplier has actually run out of stock of that product. Again, if the customer doesn’t get their item, the blame will fall on you. If you are selling popular products, chances are that other dropshipping companies will sell those products as well (and often source it from the same supplier). When this happens, it’s hard for your product to stand out. Find the right supplier: This is crucial to the success of your dropshipping business. Before deciding on a supplier, make sure you’re fully aware of each supplier’s services, pricing, and their shipping and inventory policies, and even have a look at some of their reviews. Make sure you fully know your supplier before deciding to outsource your orders to them. You can read more about choosing a supplier here. Choose the right product: Finding the right product to sell out of the millions available can be a difficult decision. While selling a wide range of products may seem like a good way to go, you may find customers avoiding your store simply because they don’t know what they’re looking for from you. When you narrow your focus to a particular product or line, you make it clear to your customer what your business is all about. You can read more about choosing the right product here. Pick a sales channel: You’ll also have to select a platform to use for your dropshipping business. There are three different types of sales channels for you to choose from: general marketplace, social media, and building your own. Each has its advantages and drawbacks, so you can choose the sales channel you think is most appropriate for your business. You can read more about picking sales channels here. Clearly, dropshipping isn’t a walk in the park. But, if you weigh the benefits and disadvantages, dropshipping could prove to be the way for your business to boom. If you do decide to start dropshipping orders, make sure to remember all the points mentioned here. If you do decide to start dropshipping orders, do what you can to protect your business from competitors and customer dissatisfaction. Choosing a trustworthy supplier, picking your product line carefully, and using the right sales channel will all help you stay on the right track.